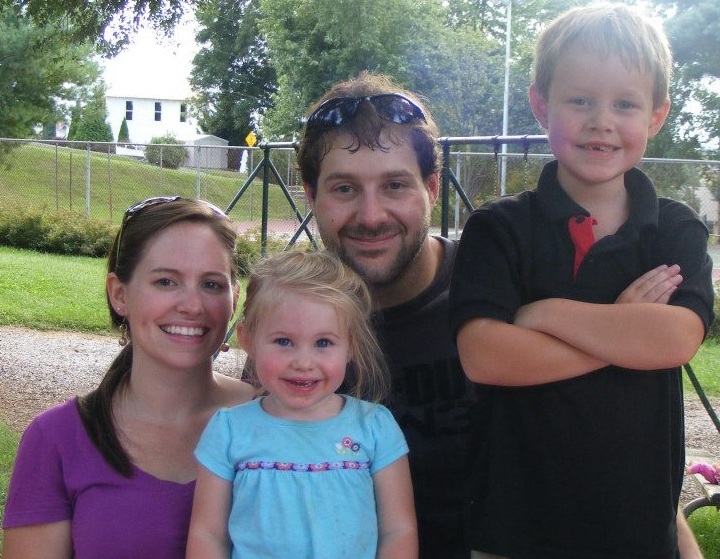 Vanessa is the Nursery Director at Rocky Mount Christian Church. She is the smiling face you'll see when you drop your kids off. You can read more about Vanessa below. My name is Vanessa Stone. My husband's name is Chris Stone and we have two little children and live in Ferrum. Owen is our oldest and he is 6. He is your typical little boy whose favorite sports so far are soccer and basketball. He, for the longest time, has been very shy but has most recently started to come out of his shell. It has been really neat to watch how he has changed over the last few years. Our littlest one is Olivia and she is 2. She started out as our little wild child but has slowly started to calm down. We call her our little princess and she has started to refer to herself as one now, which is really cute! These two children fill my life with so much happiness and have made me who I am today and every day! I have shared a little bit about my family. I attended Franklin County High School, where I cheered all four years. I absolutely loved every bit of it and as you will come to know, I still am that energized cheerleader. I love life and try my hardest to not stress about things (at least the things that are totally out of my control). I work at Ferrum College full time and also take classes there part-time. Another big part of my life has always been church and it is something that is very important to me. In the last 2 years the nursery has become my hang-out spot on Sunday mornings. I want to be in church regardless of where I am because just going makes my week complete. I am very excited about this new part of my life as I work in the nursery at Rocky Mount Christian Church. I am also excited to learn more about the church and meet all the people.